the front clasps give it style. The quilt-as-you-go construction makes this a quick and easy project. 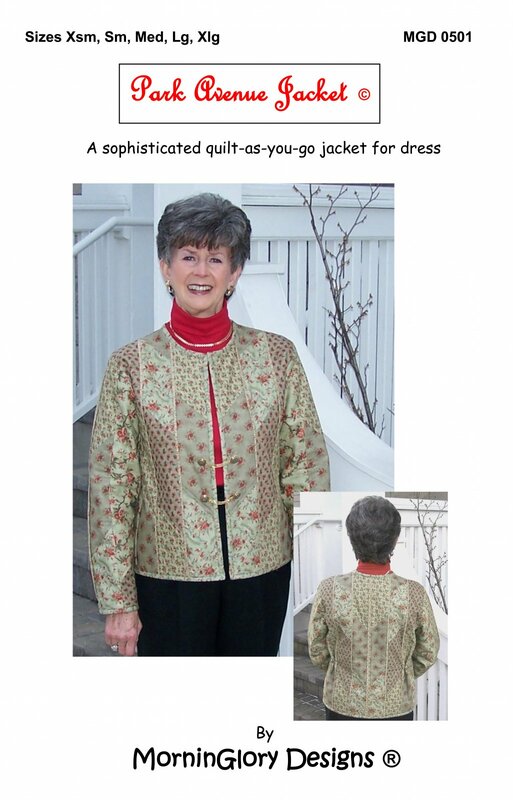 Sizes Xsm- Xlg included MGD 0501 Requires intermediate sewing skills.